For most of us, this is a mantra recited every 16th December. And while we speak of the 141, we forget that those really left behind were 141 shattered families. Amid their immeasurable pain, sorrow and loss, these families, gathered immense courage to knock at the doors of power. 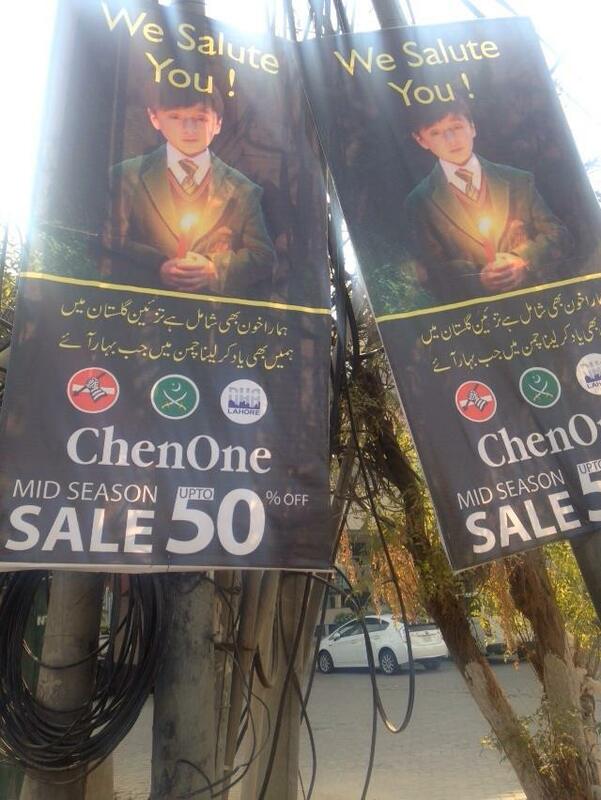 The APS attack, which the so-called “paradigm shift” and the grand National Action Plan were predicated upon, has actually been the subject of a concerted and brazen campaign of silencing and harassment which has been directed at these parents who have been tirelessly and bravely demanding an inquiry and investigation into the ghastly attack. Who does an inquiry threaten and why? What dangers does it pose? An investigation and a probe will provide no closure to the insurmountable grief of the bereaved, but an investigation will provide some semblance of accountability, answers, and a degree of insight that may be used to prevent further lapses and failures which endanger countless lives. The APS attack doesn’t warrant the spectacle of mawkish speeches and songs, grand commemorations and empty and insincere vows declared every 16th December, the APS attack doesn’t demand this sham and farce which humiliates rather than honors and remembers the loss. As long as an inquiry into the attack is not conducted, the sham of justice, the sham of “never again” and “never forget” shall continue. And today, let us also remember these parents, and salute them for their resolve and courage, for not bowing to numerous pressures and intimidation, for being the only ones to never forget. Nearly a month back the attack on Bacha Khan University brought back torment of what is perhaps the most traumatic experience in Pakistan’s collective national memory: 16th December 2014. The Charsadda attack has been followed by beefing up of security in educational institutions, including the conduction of security drills, trainings for guards and personnel, and even the temporary closure of schools. In assailing the pursuit of education by an environment and atmosphere of fear and militarization, the horror of the APS attack reverberates in educational institutions and students across the country. This is a militarization that has familiarized students with the grim possibility of never returning home as they leave for schools each day; a militarization out of which schools, colleges and universities have emerged morphed into high-security fortresses; and this is a militarization that has forced revered purveyors of education like Tahira Kazi and the 33-year old chemistry professor Syed Hamid Hussein to build passage for the future of Pakistan not by illuminating the way for students but by extinguishing the very light which was to shine the path: their own lives. 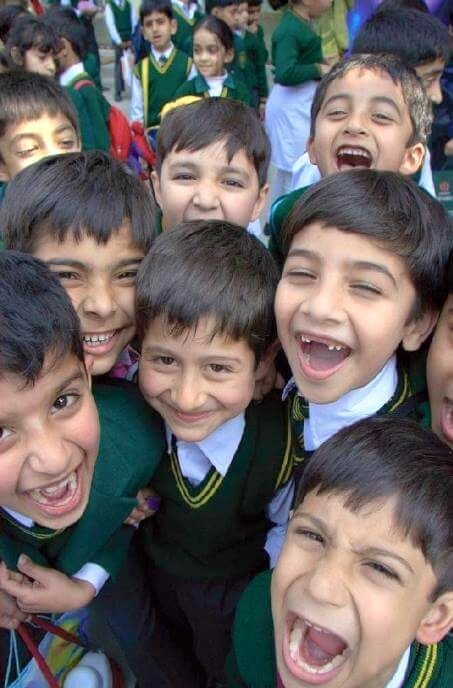 It is a dismaying reality that the trauma which accompanies an entire generation of children and youth today, upon which hover fear and threat of death and loss in spaces where only learning, education and hope should thrive, will be an enduring casualty of terrorism in Pakistan. In wake of the Charsadda Attack, there also appeared to be a dispute between the educational institutions and the government on the issue of security provision. While a legitimate demand to a certain extent, the government’s pressure on the administrations to provide and take charge of all security arrangements once again attests to the government’s willingness to pass the buck, surrender and assign surrogates for what is chiefly the state’s key responsibility; the protection of the lives of its citizens. However, beyond the issue of schools and security, the Bacha Khan University attack has brought to fore a number of disconcerting realities that remain unchanged since 16th December despite grand proclamations of will and resolve to obliterate them. The grand National Action Plan which was devised as a comprehensive programme for tackling extremism and terrorism appears to be in tatters today. Banned organizations and ‘assets’ still operate freely, and while the interior minister prevaricated and bemoaned a fictional lack of evidence needed to act against him, the brazen-faced and contemptible Abdul Aziz spat on the writ of the state by informing the nation of his ‘negotiations’ with the agencies regarding his case. Even in this announcement, he continued to spout and spew his hate, accusing a brigadier in ISI of ‘the other sect’ of ‘conspiring’ against him. Recently, news of the Sindh government’s consideration of Friday sermons’ regulation has also surfaced. While the regulation of sermons is certainly a significant step in examination of the influence sermons wield and exercise, there still persists a pressing need to stem the seeds that require the regulation of sermons in the first place: ideologies of extremism, hate, strife and violence. It is ideology that beckons back to the necessity of madrassah reform, a contentious and difficult issue in a country where any attempt at reform and regulation of religious institutions or religion-inspired laws is seen or perhaps cleverly construed and concocted as an attack on Islam itself. 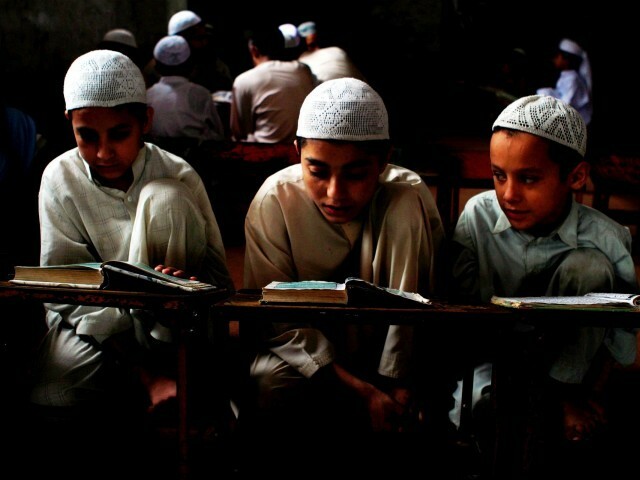 Madrassah reform is a daunting task but the consequences of not dismantling ideological and territorial sanctuaries that maintain an infrastructure of extremism are even more disquieting – for which every organ of the state has to be united and mobilized in orientation, policy and action, until which all gains against terrorism in Pakistan will be tenuous at best, as the targeting of Bacha Khan University has shown. 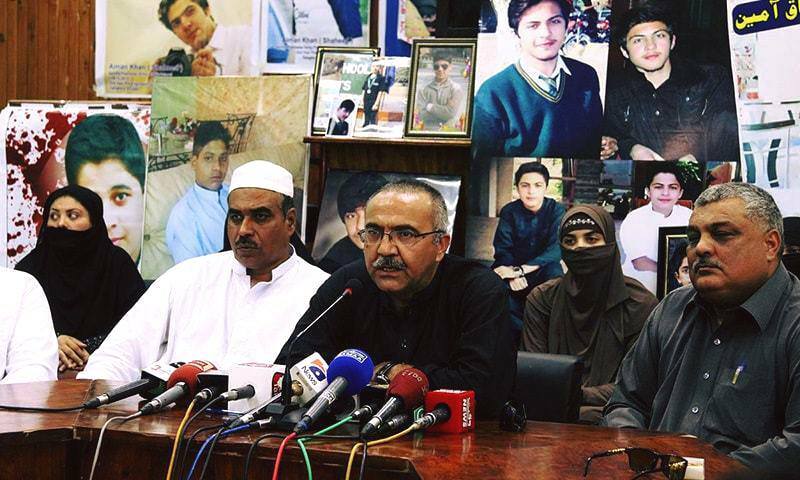 Most importantly, the Charsadda attack has accentuated the urgency of a thorough inquiry and investigation into the Peshawar attack, which the parents of the APS students have been tirelessly demanding despite numerous attempts to thwart and silence them. Why is it that the demands for an investigation are being spurned, who does an inquiry threaten, and why does it threaten them? Although it will provide no closure to the insurmountable grief of the bereaved, an investigation will provide some semblance of accountability, answers, and a degree of insight that may be used to prevent further lapses and failures which endanger countless lives. It is therefore crucial that the narratives of success in the drive against extremism and terrorism, being continuously churned and fed by the government and military, are constantly and consistently questioned because no longer can the inaction, inertia and apathy endemic to the state and government, but inimical to Pakistan, be afforded. What should’ve been a somber remembrance of the most violent and horrific act in Pakistan’s history and memory was brazenly converted into a national spectacle on the 16th amid no sense of shame or respect. Knowing the nature of the course things in Pakistan tend to take on occasions and days of some significance, the sensible thing to do for anyone on this 16th December should’ve been the maintenance of a distance from all the noise and fuss which reigns here. But it was foolish to expect that the usual would be avoided on a day of such grave and grim character. From “virtual documentaries” on the APS attack, GEO’s anchors distastefully donning APS uniforms as some sort of costumes, to playing instrumental variations of Louis Armstrong’s ‘What a Wonderful Life’ as the background to coverage of the bereaved families’ grief; the media coverage, exceptions apart, was crass and infuriating. Further down the line of all that was disconcerting and dismaying on the first anniversary of the Peshawar attacks were a set of narratives that were being constantly reinforced and parroted, particularly of resilience and sacrifice. To reiterate something I have often said, it is a penchant of ours to present our temporary outrage, temporary outpouring of grief and temporary empathy in the glossy garb of ‘resilience’. And once again, this 16th, many proudly proclaimed just how “resilient” Pakistan has been after the Peshawar attacks, how “resilient” this nation is; without any thought for the parents and families who are still grieving and will forever grieve; without any thought for these families who have been knocking at every door, every day for a year, for their demand of a judicial inquiry into the massacre of their children. And perhaps resilience is the last of what we need after the Peshawar Attack. What we need is unequivocal and lasting rage in the face of terrorism and extremism and every shape and form of it. Let us not be resilient for once. Let us remember and grieve for those taken from us in Peshawar not just every 16th December but every day and forever. The second narrative was of the 144 lost in Peshawar being a sacrifice; portraying the children’s death as some sort of glorious ‘sacrifice’ rendered in the name of the nation and country. This is nothing but a crass narrative constructed to give the tragedy an ennobling tint other; obscuring its stark reality so that our eyes are shielded from seeing it for what it was: a senseless, violent, cold, calculated shedding of blood. A sacrifice is a conscious and voluntary decision, not the inhumane usurpation of innocent lives that were never given a chance to even begin or blossom. No parent sends his or her children to school as some sacrifice, no parent sends his or her child to school only to never see him again. 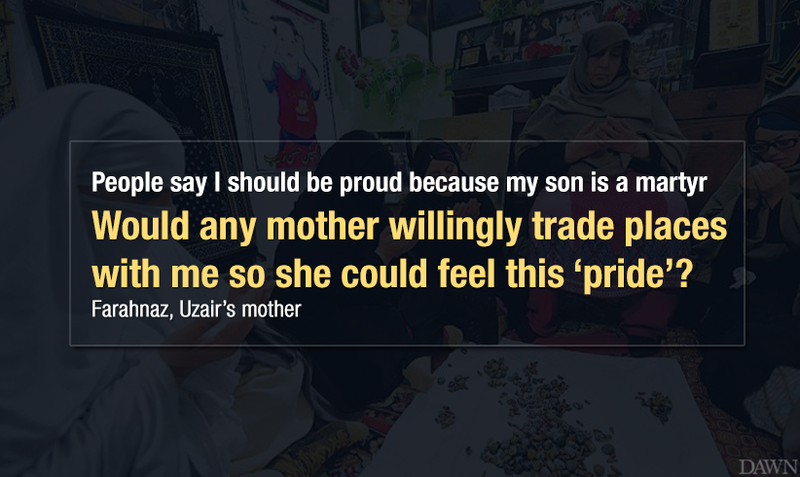 As one mother put it, “People say I should be proud because my son is a martyr, would any mother willingly trade places with me so she could feel this ‘pride’?” What happened in Peshawar was no sacrifice, and it was nothing to which the slightest sentiment of pride could be associated. To call the killing of our children as a ‘sacrifice’ is a shameless and insensitive trivialization of the tragedy. Lastly, there was of course, the hate against Malala which can best be described as rabid since not even the 16th of December, and the respect it warrants for the day, was spared, but actually disgustingly used in a way that is insulting to the 144 too, to sling mud against her. It is pity that had Malala never survived after being shot, she would have been venerated by everyone. Her fault is to have survived and most of all, be globally admired for her courage and determination. Yet it is incredible how a child, a teenager can evoke such hate and outrage without having done anything to tarnish Pakistan; but those who shot at her and their ilk have not been able to evoke even a fraction of that anger and infuriation. It is an absolute shame how 16th December was observed this year; through a conversion of commemoration to a spectacle that was made about everything but the lives lost, the inconsolable loss inflicted on Pakistan and the families, and the solemn, sober and honest reflection, mourning and remembrance the day demanded. To the 144, we failed you again. Majid Maqsood is a 16-year old student who has just passed his matriculation with 80% marks and is headed towards college. He loves music, football, writing and composing songs, and rapping. Incredibly polite and rather mature, he is brilliant young boy, but most importantly, a brave one. Majid is a survivor of the Peshawar Attack. When the attack began, Majid was in the auditorium with students of the 8th, 9th and 10th grade for a medical lecture. Soon they heard the sound of firing as three terrorists entered shooting, at the sight of which he sat down to take cover; the best he could do to hide. They went firing from chair to chair, now remembering which Majid is surprised that he managed to survive. He recalls that in those eight to ten minutes of firing, more than a hundred students were killed. Ten children killed in every minute. Ten families shattered forever, in sixty seconds. Ten minutes. A hundred children. Each with a name, a face, a family, a future. “They were the future of this country; someone was a brilliant doctor, one an army officer, one an engineer, one an actor, one a musician , one a politician – everyone was pursuing his dream and working hard,” he recalls. “Each one was kind, intelligent and smart”. Dead. For once they lived; they breathed, they played, they hoped, they dreamed. But as a survivor, despite the scars of trauma and sorrow, he believes he has emerged stronger than before, “After losing my friends and teachers, now I am afraid of losing others. All I went through is beyond describing; all those dead bodies of friends, lashes of blood, shouts and screams, but that day really made me strong because now I am no longer afraid of such cowardice. That day revealed the value of a single life to me.” He now wants to do a tribute song for the APS attack victims. No 16 year-old who loves music or writes songs, should ever be thinking of channelling the expressive power of these passions into a tribute for his fallen friends, peers and teachers. No 16 year old, and no child, should ever be required to be this brave. Yet Majid’s maturity only strikes with the harsh acquaintance survivors and victims of the APS attack had to make with the hideous realities of life; of blood, death, and loss. A reality birthed by consummate barbarity. Majid is not one boy; he is one of many, many who were usurped forever from us. They were made of blood and flesh. They had hopes, fears, zeal and dreams. In them were poets, painters, singers, soldiers, artists, sportsmen, philanthropists, doctors, and leaders. They were tomorrow’s Faiz, Manto, Wasim-Waqar, Gulgee, Jahangir Khan, Moin Akhtar, Ahmed Shah Bokhari, Nur Khan, Adeeb Rizvi, Abdus Salam and Alvin Cornelius. They were to scale the mountains and to soar into the skies. They were to imagine, to create, to heal. They were to pave the path for a better, peaceful, a just tomorrow. They were the promise of a tomorrow. Let us allow this wound to deepen. Let us stare into this abyss of loss. Let us never let the pain of Peshawar subside. Let us realize that December 16th 2014 made us forever poorer. Let us never forget, for they were not numbers. 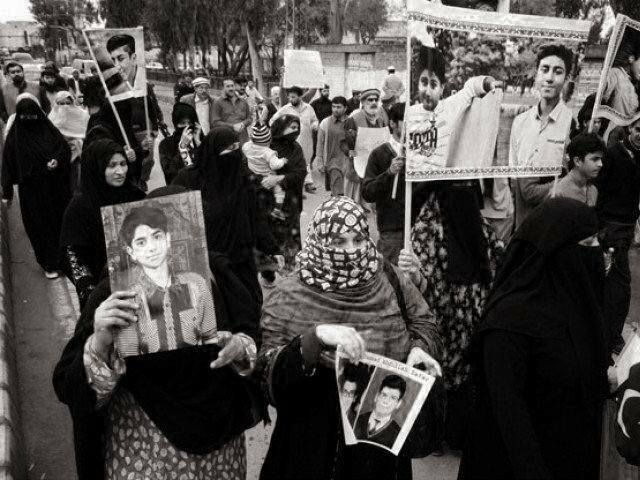 Newspapers recently reported that a group of students and teachers who survived the Peshawar massacre had been sent on a trip to China ‘aimed at healing the mental scars of their ordeal’; and that the bereaved parents of the 130+ children killed would be sent on pilgrimage to Saudi Arabia. Although officials maintain that the trip was borne out of suggestions and consultations done with psychiatrists regarding the process of healing, reality offers a far difficult road to recovery for Pakistan. With 50,000 massacred – yes massacred, not sacrificed; let us not romanticise the bloodletting that consumes Pakistan; for a sacrifice is willing and conscious, but a massacre is plain butchery – the sigh between mourning countless tragedies and the breaths heaved between cries is the only peace the nation can prise. The Shikarpur slaughter that took away 60+ lives has revealed the empty change the Peshawar tragedy spurred in Pakistan in the form of standard hollow condemnations, promises and eyewash. Palliative measures such as the lifting of the moratorium on death penalty and hangings of convicted terrorists may satiate national vengeance, but do not and should not dampen the need for national justice; for which a solid anti and counter-terrorism policy is essential. Furthermore, there has naturally been no shortage of the absurd since the KPK government’s decision to allow teachers weapons inside schools stands glaring. As shocking is the decision, it is also a tragic testament to the state’s loss of its monopoly on violence, cruelly emphasised by terrorists, and its reaction to it which seems to border on surrender and acceptance. Such an acquiescent attitude clearly signifies the state’s indifference and inability to protect the lives of its citizens and guarantee their liberty, safety and security. And from the KPK government’s decision, it appears that the solution to this loss of state monopoly has been found in compounding the problem by doling out more and more shares of the monopoly to segments of the violence-ridden society. The arrests of the protesters served, yet again, as shameful reminder of the state and government being held hostage to non-state actors and organizations such as the ASWJ and SSP; committing complicity in the crimes perpetrated by these individuals and organizations by way of pandering to them and putting up frequent shows of spinelessness when it comes to them. The persecution and troubles tormenting religious minorities such as the Shias in Pakistan are very much a part of the problem of terrorism and extremism; dealing with which cannot be discounted if Pakistan is to overcome this crisis. The blood that was shed in Shikarpur was in the name of the same ideology that shed blood in Peshawar. Therefore, to ignore or separate the se ctarian angle from terrorism and extremism in Pakistan would be to have a blurry and weak vision of the danger the country faces. Buried under palliative measures, national amnesia, short-lived bouts of outrage; and the empty promises and deliverance that have become the crowning glory of the PML-N government, which seems to be competing against the records of cluelessness and incompetence set by the previous PPP government, are the concrete steps that remain far from being taken in Pakistan’s fight against terror. Concrete steps that disturb the long-cherished equilibrium and existence of policies and trends in Pakistan including the establishment’s notoriously duplicitous policies, the ties of patronage and alliance Pakistan’s political parties pride themselves on with sectarian outfits; and the cowardice that crowds the corridors of powers in Pakistan from taking on extremism and terrorism with sincerity and tenacity. The trip to China may temporarily divert the children’s attention, but the usurpation of their childhood, that no child should ever have to bear, is consummate and irreversible. Sending the children on trips will not suffice, providing them a future better than their past will. And for that, a lot more needs to be done. Until then, all is hollow healing. Some tragedies are difficult to erase from national memories. Some wounds are difficult to heal. 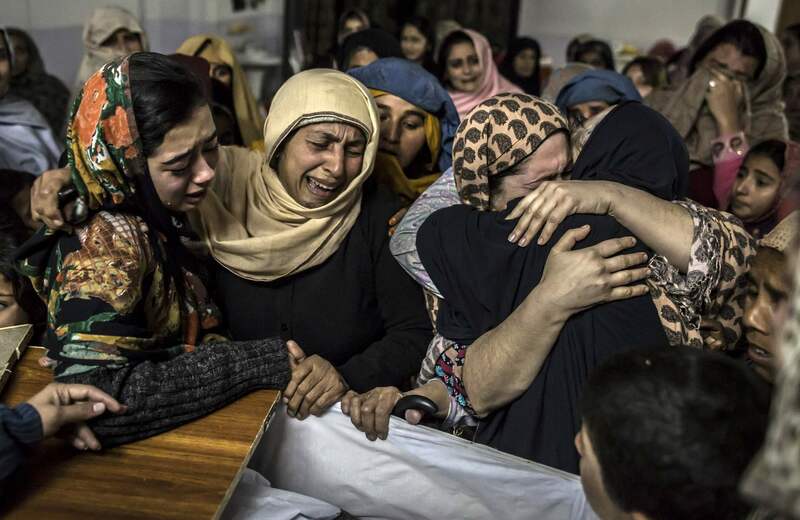 What happened in Peshawar was a monstrosity beyond evil, a calamity beyond tragedy. The calculated, cold-blooded murder of helpless, defenseless, innocent children will always remain, neither a wound that heals, nor a stain that fades, but a scar right in Pakistan’s heart that shall only deepen with time. It will remain forever. In an air of seething anger, mourning and vengeance, the government decided to lift the moratorium on death penalty. As understandable as this is for the savages who have torn through Pakistan’s soul, it must be realized that the lifting of the moratorium is once again a cosmetic attempt to defeat terrorism. Pakistan can no longer do without recognizing that the monster of terrorism has multiple heads and tackling it honestly. The scourge of extremism and terrorism cannot be defeated if Pakistan’s military establishment pursues policies of duplicity; with a selective fight instead of an all-out war against all terrorists without distinction and second thought, since the alternative is clearly at the expense of Pakistan’s peace, stability and future. As vital it is to battle the Taliban physically, it is even more crucial to battle them ideologically, culturally and socially. Pakistan’s mosques must be regulated and rid of the hate speeches made against other religions, religious minorities, sects and the West, that pass for sermons. These have converted the country’s mosques into sanctuaries breeding hate, bigotry and intolerance with bloody repercussions. The people must reclaim their mosques, just as the brave Jibran Nasir led people in Islamabad rallying for FIR against and the arrest of Abdul Aziz of the Lal Masjid for his audacious refusal to condemn the Peshawar massacre in clear words live on television. It is hoped that this spirit inflamed by rage and sorrow crystallizes into a sustained campaign and movement by the citizens to reclaim Pakistan; for any ‘maulana’ or ‘mufti’ whose tongue stutters to clearly condemn extremists and terrorist acts of atrocities must be taken to task by the people and state; and if the state does not take them to task, the people must take it to task too. Let it be clear today that a lack of condemnation is an act of complicity. Pakistan has paid enough for terrorist apologists in its midst. The media must also stop the sensationalist and luxurious provision of airtime to such men in the guise of interviews and calls; offering them opportunities to shamelessly propagate their views and promote the cause of the extremists in turn. Pakistan cannot and must not tolerate any terrorist apologists from any sphere, be it religious, social or political since they are in abundance. Furthermore, Pakistan cannot envision the eradication of extremism and terrorism unless the political patronage of militant organizations like the SSP, LeJ and ASWJ are explicitly ended. It is this country and nation’s misfortune, that not only does it have leaders who are spineless and irresolute in the face of a cancer that continues to consume Pakistan; but also have links; concede, pacify and pander to organizations that are proud ancillary warriors to the ideological evil. According to Dawn, since 2007, over 2,000 alleged terrorists have been freed by the Anti-Terrorism Courts (ATCs) and even re-joined terrorist outfits. 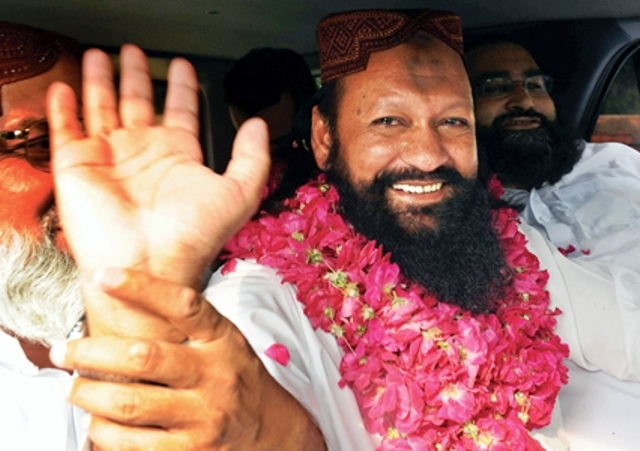 Therefore, as long as Pakistan’s courts are not empowered and let murderers like Malik Ishaq walk free with the blood of hundreds of Shias on his hands; death penalties will only remain a superficial step taken in the stride for serving justice. Moreover, the curriculum and textbooks taught in Pakistan must be reviewed and revised to replace the patchwork of intolerance, hate, bigotry, xenophobia and jingoism it has currently bred by one which fosters a pluralistic national mindset of tolerance, inter-faith, inter-sect, inter-ethnic harmony. The distortions and crass obfuscations in the textbooks may have served the state well but they have certainly not served the country and nation well. Pakistan must also recognize that the disease of extremism and terrorism is home-grown. The hordes that attended Arshad Mehmood’s funeral after his hanging were our people, they were Pakistanis. Those who fund, abet and sympathise with these are Pakistanis. Arshad Mehmood and his ilk was Pakistani. 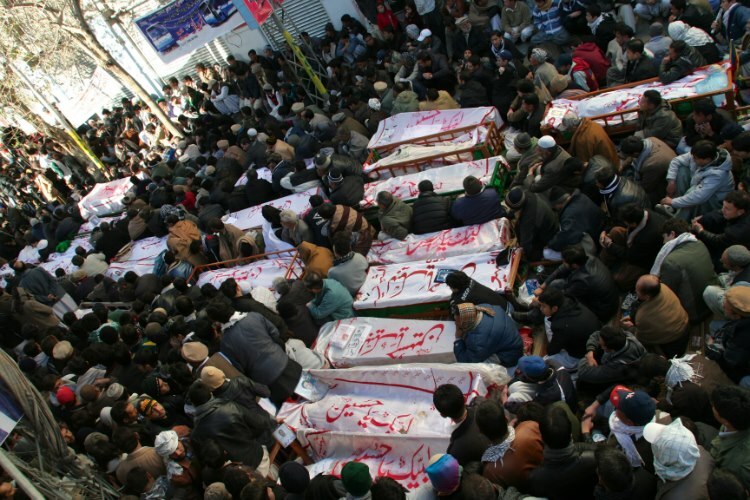 The hundreds of children slaughtered in Peshawar were Pakistani, this is Pakistan’s war. Lastly, as a people, we must rupture our resilience. Let us let it be known that we will not forget nor forgive; we will neither recover nor rest until we win this war; a war within us. 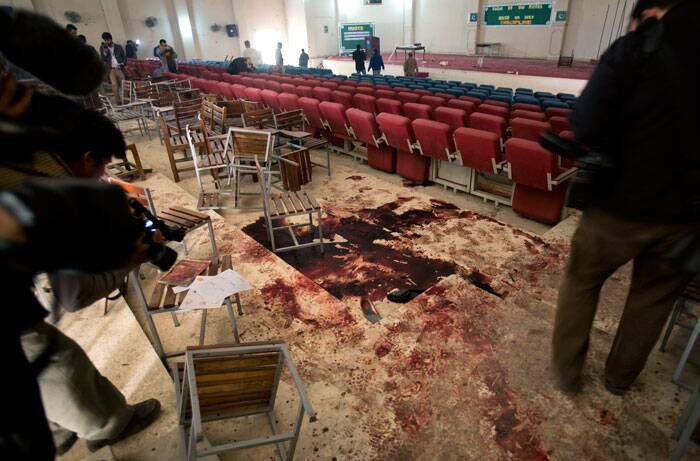 We must no longer be quiet; we must let the pain of Peshawar never subside if Pakistan is ever to remain alive. Let us feel the loss that can never be undone. Let us walk on the blood-splattered shards of Peshawar, let us never forget what happened there; let us not wash this away from our hearts and minds by the flimsy cloth of resilience. Let us know that our silence and resilience is now complicity. Let us find it difficult to sleep every night knowing this soil is fresh with the splattered blood of its beautiful children. Let us count the 50,000 which 140 more have joined. Every inch of this land is soaked with the blood of its own. Let us be resilient no longer if we are to count no more.